Ok so we hate to be negative, but sometimes a game will do an update with the best intentions and it ends up spoiling everyone's fun! 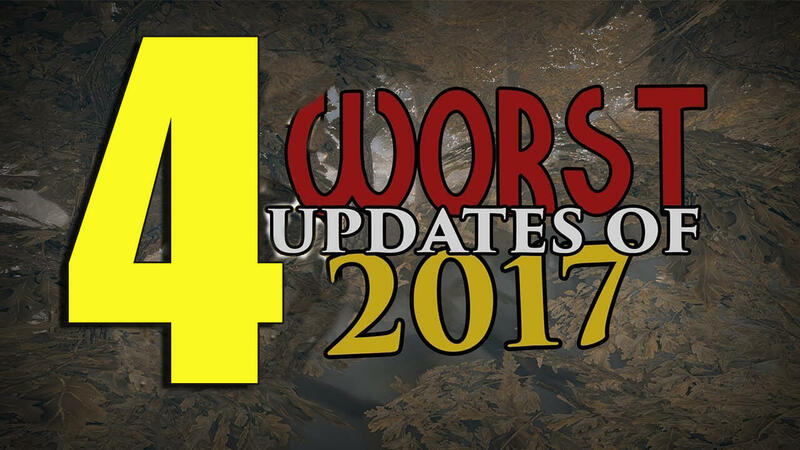 Today we are looking at those Runescape updates which were unnecessary, annoying and just plain dumb! Ok to be fair most of the time Jagex nails it with their events, but Novtumberfest felt like they put in very little effort. It was almost like they could not be bothered. Not only was it not very fun, it was a real grind fest to get some of the more interesting items and it also had a bit of a "pay to win" thing going on. Jagex really hyped this one up and that is why we feel so many of us were a little disappointed. It was basically a reskinned event and they did try to patch it and make it fairer, but it still was a letdown. This should have been huge, but many of us felt that the mobs Jagex added where not some of their best and in general it was like they were just going through the motions with this update. 120 Slayer should have been huge with some awesome new monsters, but it just kind of fell flat. Anything that adds zombies to the mix should be awesome! This competitive game mode was supposed to be huge, but the game mode was full of bugs, balancing issues and the finale was a real mess! Dimension Of The Damned tried to bring the zombie apocalypse to Runescape and we feel it could have been great, but it felt rushed and poorly executed. Were there any updates added to Runescape in 2017 that you feel were a disappointment? Let us know in the comments below. Also be sure to ask any questions you have if you are looking to buy rs gold as we have some amazing deals on!